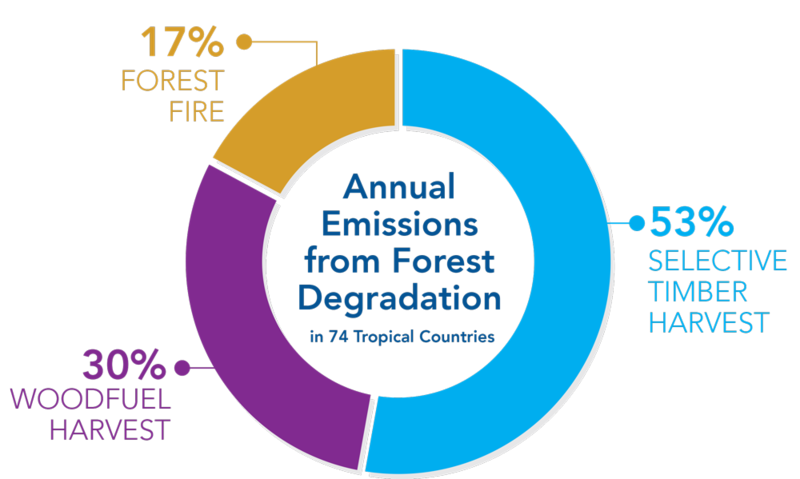 WASHINGTON, D.C. – FEB. 21, 2017 – Scientists from Winrock International have published the first consistent and complete analysis of emissions from forest degradation across the tropics. 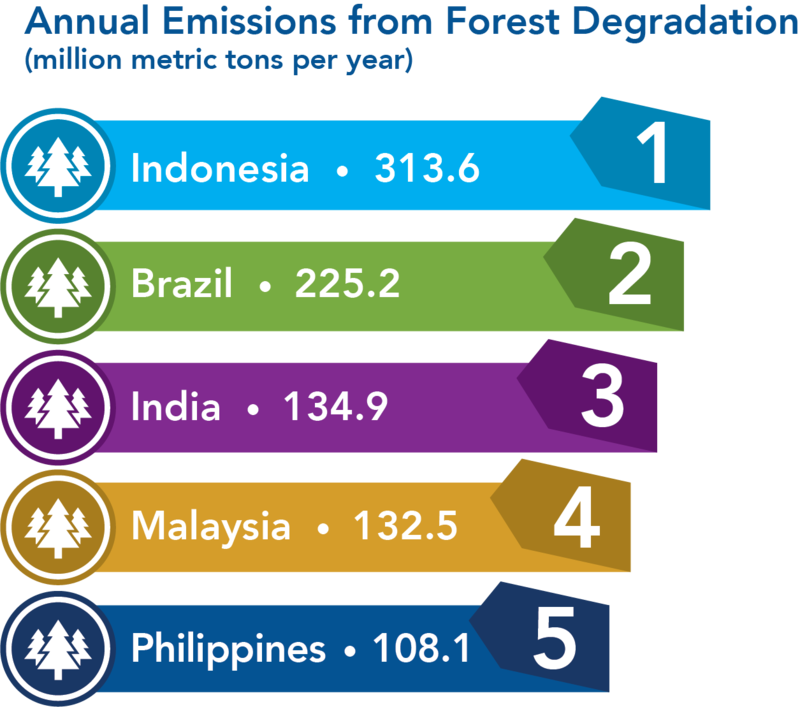 Forest degradation consists of logging, harvesting woodfuels and other human impacts on forests that fall short of deforestation. 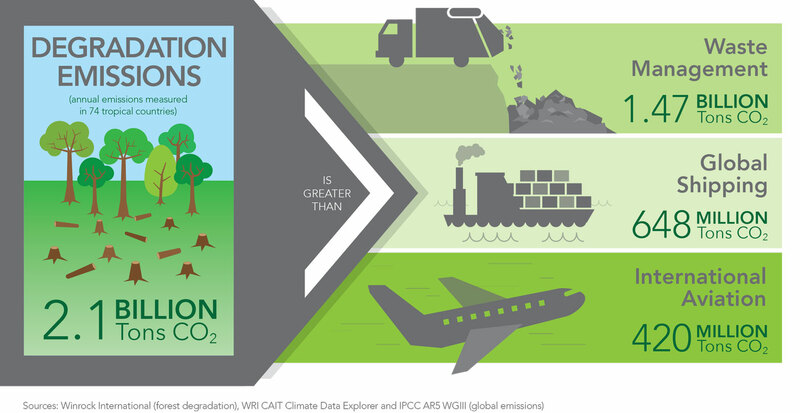 The new study, published in the journal Carbon Balance and Management, shows that in 74 tropical countries the amount of carbon released as a result of forest degradation is equivalent to 4.3 percent of total global emissions and almost five times greater than the emissions from global aviation. 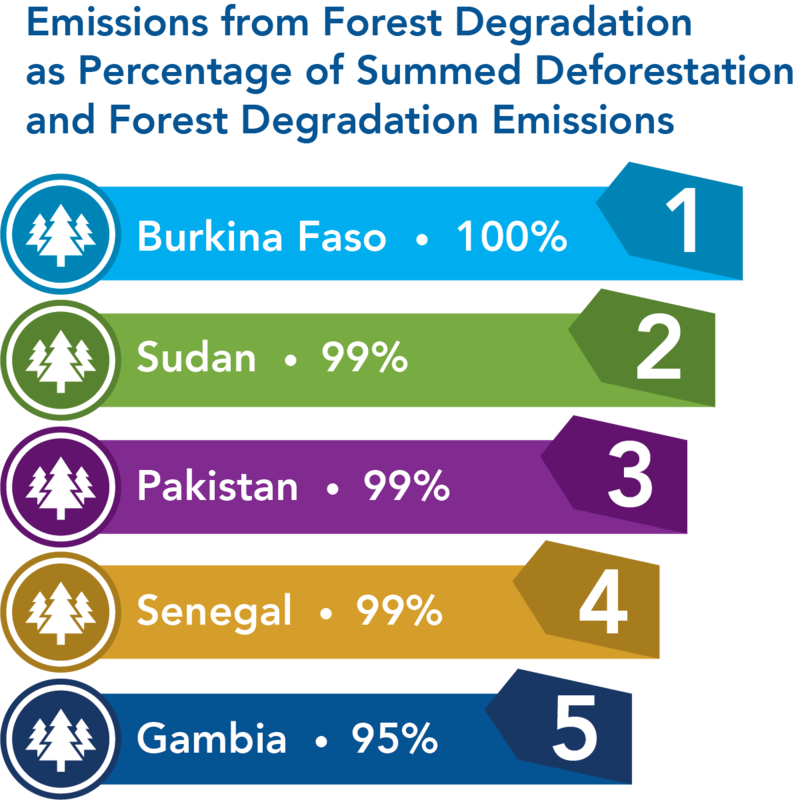 While deforestation has been widely studied, degradation is much harder to detect. This is the first time it has been quantified in such a complete, consistent way, with Winrock scientists combining approaches and datasets to assess forest degradation activities in a uniform manner. 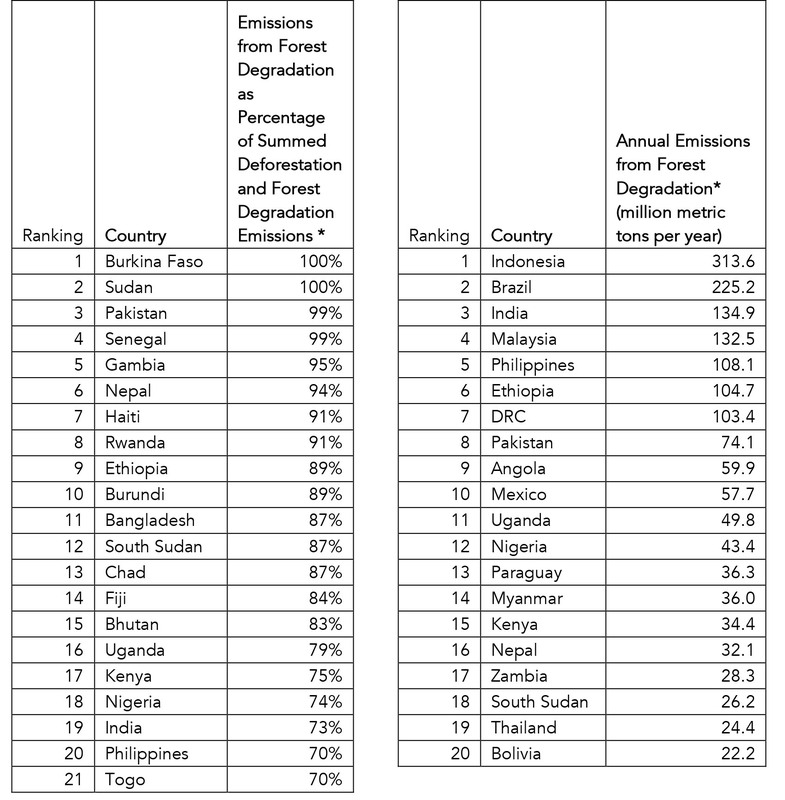 The findings show that emissions from tropical forest degradation exceed the total annual emissions of all but the seven highest emitting countries — and are equal to about a third of the emissions from deforestation.